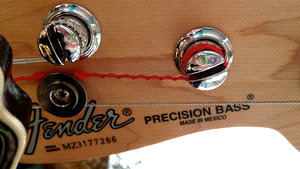 KitMonsters – Fender Precision Bass. The music makers’ guide to making music. 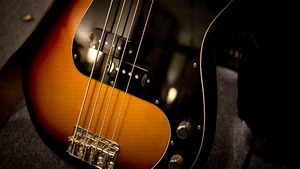 Designed by Leo Fender in 1950, the Precision Bass, or ‘P-Bass’, was a revolutionary electric bass guitar, which has had an immeasurable impact on music, almost entirely replacing the old upright basses of the past. 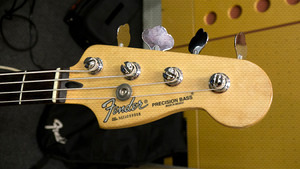 Styled like a Stratocaster, the double cutaway body allows unprecedented access to the upper frets. 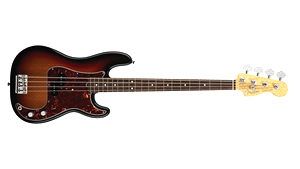 The split-coil humbucking pickup creates a deep, warm tone, and the fretted design offers a precision of playing that many found impossible on a double-bass. 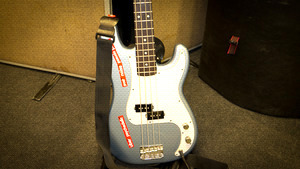 It remains widely popular to this day, and its fundamental design features can be found on most modern electric basses. 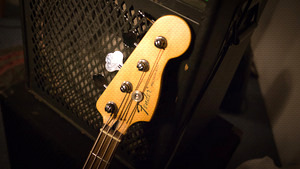 Bassists from The Who, to The Clash, Oasis to Bloc Party have used the legendary tone to underpin and drive the whole band’s sound.